SP Racing™ Transponder BEC. Dual-IR LED lap-timing transponder system. With integrated with a 5V regulator to power your onboard FC and RC gear. Fed up of fitting transponders before your race and removing them afterwards? Mount one of these permanently to your quad and say goodbye to rushing around on race day. 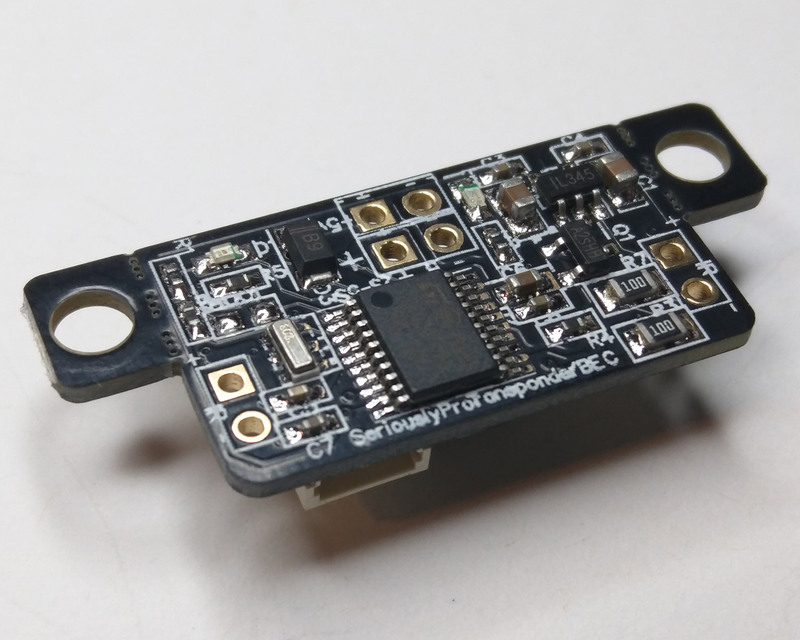 Power your flight controller and recevier from the transponder. No need for unnecessary extra weight or cost when racing. The SPRacingTBEC is the only Race Transponder to feature a built-in 5V regulator! 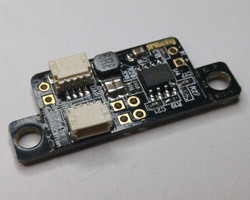 Innovative - First racing transponder with integrated regulator. Flexible - Mounting tabs are removable. Durable - Though-hole connectors for power. Thick PCB. Stackable - Pin headers and 30.5mm mounting holes allow stacking. Compact - Lightweight and measures just 26x13.5m without mounting tabs or 36x13.5mm with mounting tabs. 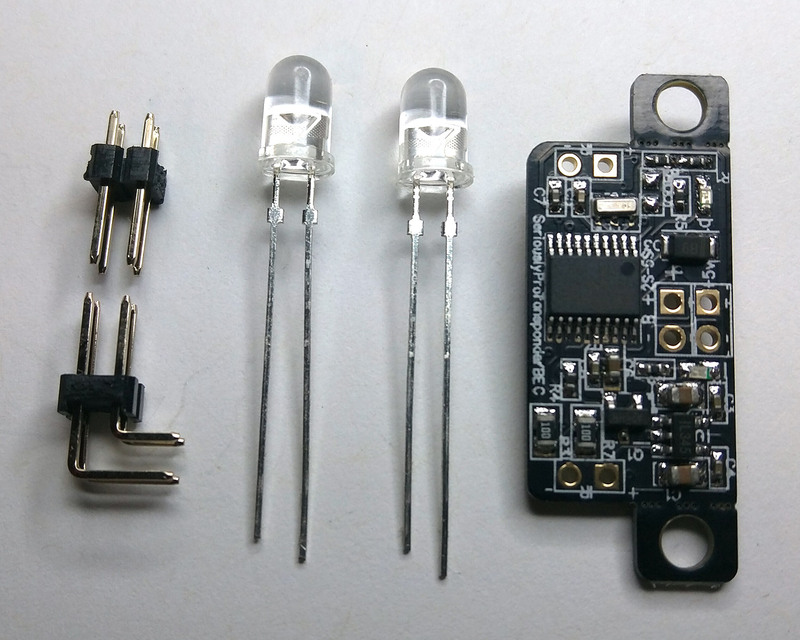 Two LEDs which can be used for a wider transmission angle or clockwise/anti-clockwise tracks. The latest SPRacingTBEC PDF manual can be downloaded here.